Vertical double suction slurry pump is solid and anti-corrosive, suitable for transporting abrasive or corrosive slurry. During working, the pump is usually put into a pool or a pit, like workshop cleaning pool. Wear resistant sludge pump is quite efficient whose efficiency can reach 59.14%. Its lifting height is 12.10 m to 16.2 m (as showed in the table). Nowadays, vertical double suction slurry pump is broadly applied in metallurgy, mining, coal and construction materials industries. 1. Multistage tandem technology makes vertical double suction slurry pump available for long-distance transportation. 2. Wetted parts enjoy long service life and have various types to meet the demand of different working conditions. 3. Wear resistant sludge pump has features of high performance cost ratio, unique anti-wear and high efficiency. 4. 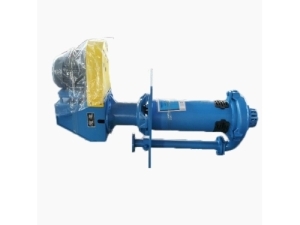 Vertical double suction slurry pump is easy to maintain and repair. 5. High wear resisting rubber is able to absorb noise and vibration. And it can make use of self resilience to absorb the shock of solid particles. 6. The rubber is light and takes little time to change. 7. Vertical double suction slurry pump adopts enlarged flow cross section design. EDEM discrete finite element analysis software is used in designing the pump. 8. Components structures are optimized and the design of cross section velocity makes abrasion of wear resistant sludge pump uniform. 9. 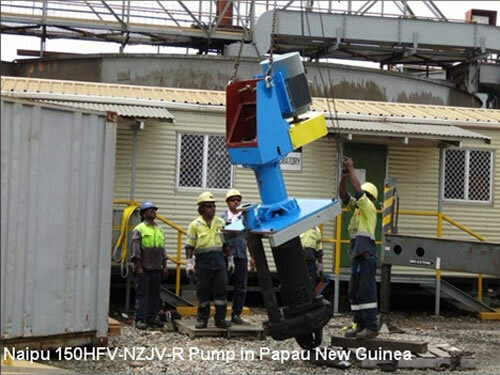 Naipu Company also provides pump selecting service as showed in the following picture. 1. Users are supposed to install, operate and maintain vertical double suction slurry pump according to the regulated security measures. 2. The auxiliary devices like motor and belt drive device also have to follow the security measures and other regulations in installation, operation and maintenance. 1. Make sure to adjust and replace impeller regularly. 2. Spare vertical double suction slurry pump should be turned manually for 1/4 circle per week if it is not used for a long time. This can make roller bearing under load. According to the types of minerals and slurry, choose the most suitable pump. 1. Vertical double suction slurry pump should be packaged in iron cases. 2. Wear resistant sludge pump will be delivered within 30 to 60 days after the receipt of down payment. Field installation and maintenance services will not be offered unless the purchase orders of vertical double suction slurry pumps reach a certain amount.